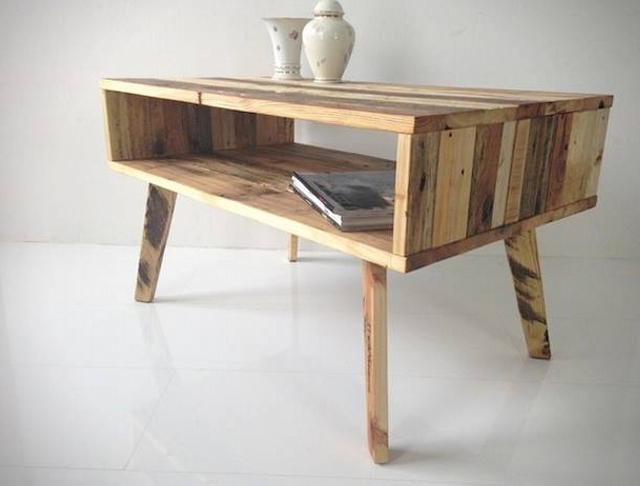 So, you guys are ready for another range of pallet wood reclaimed ideas? That’s great. 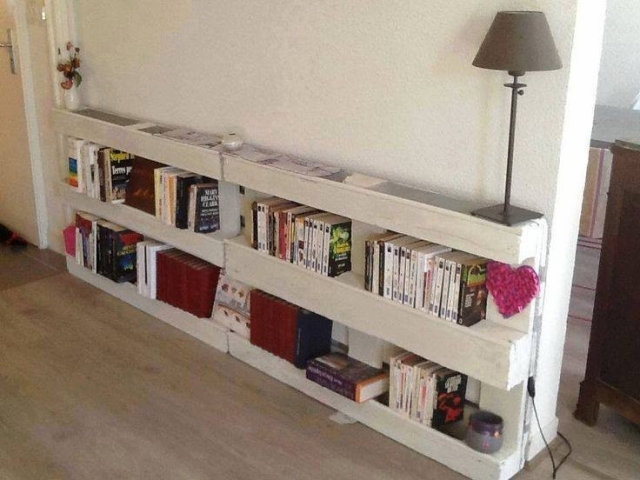 Just get prepared with all of your stuff, and get indulged in these amazing pallets reclaimed ideas. 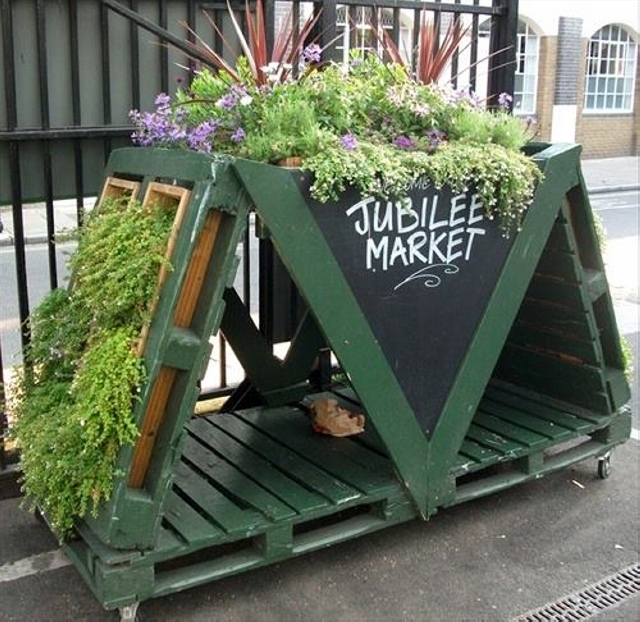 In reclaimed ideas we normally use some additional materials that were lately trashed and were considered to be useless. 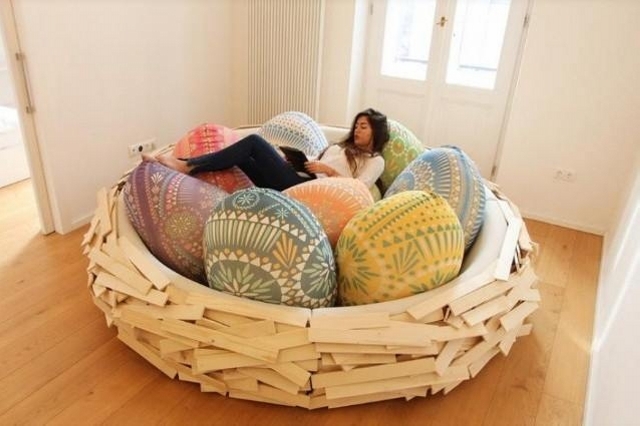 So in this way, we give completely a new life to the trashed materials. We are going to attain these reclaimed materials from the trashed products that are lying idle in our backyard and we would turn them in completely new and ravishing practical products that would be completely functional in our practical lives. In the very first project we have resorted to the mere shipping pallets in making these multiple wall planters. They are simply fabulous optics wise, they look pretty awesome on the walls with a thick foliage of different green leaves along with white flowers. This beautiful wooden pallet repurposed couch is again made using the plain pallet wood, and the design of the couch is exemplary for many of the fellow pallet wood crafters. While the reclaimed debarked wood pieces are used here as the centre tables which is a different approach. 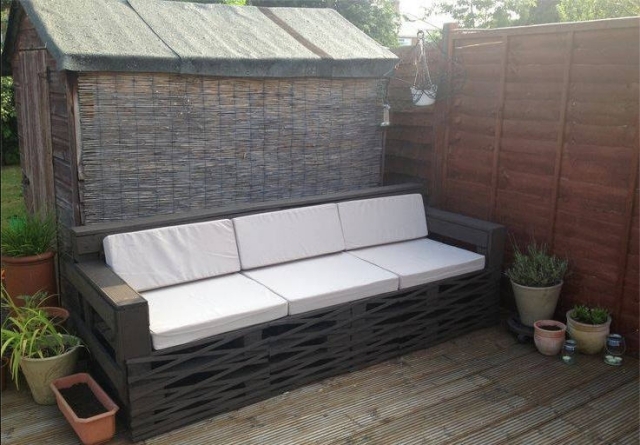 This large pallet wood couch would just look amazing in the patio or in the garden as it is equipped with plenty of sitting space. Apparently this is a three seater sofa that can be used for more than three persons at the same time. The frontal pattern made with sleek wooden stiles is a charmer in the wooden couch. 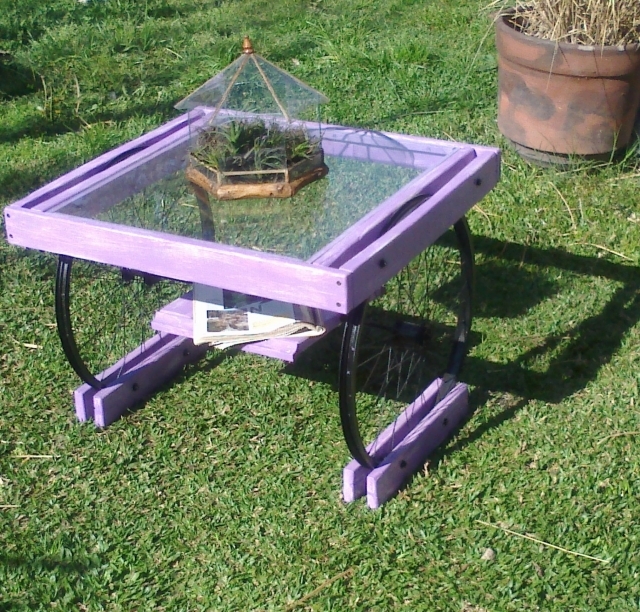 And this vintage wooden pallet upcycled table is simply classic. We used two iron wheels on the base of the table that belong to a trashed bicycle that long ago had been dumped. And we also placed a glass top in the wooden table to make it a perfectly artistic item. This round wooden tub made with various pallet planks is made using a reclaimed synthetic tub in the middle. Infact this synthetic tub has made the apparent shape possible. And finally filled it with the fleece filled couches to make it an ultra luxurious sitting place. Did you ever imagine this sort of rough office structure? This is a perfect place for some official work because this is set in an isolated space where one would stay away from the disturbances and noises. 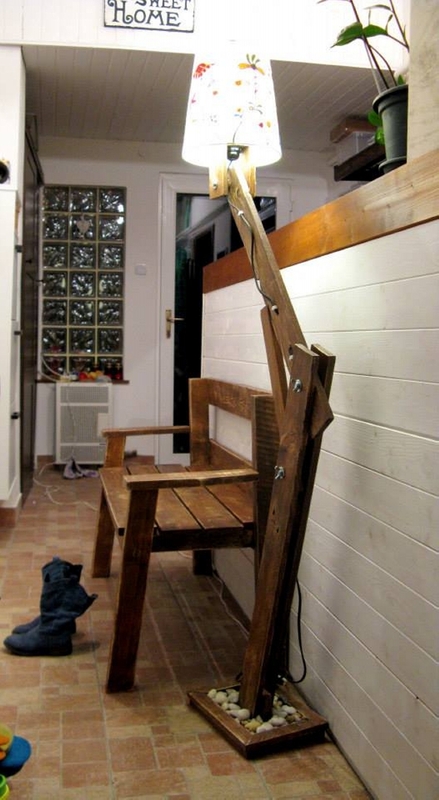 Meanwhile this wooden pallet repurposed chair along with the lamp would be a support. 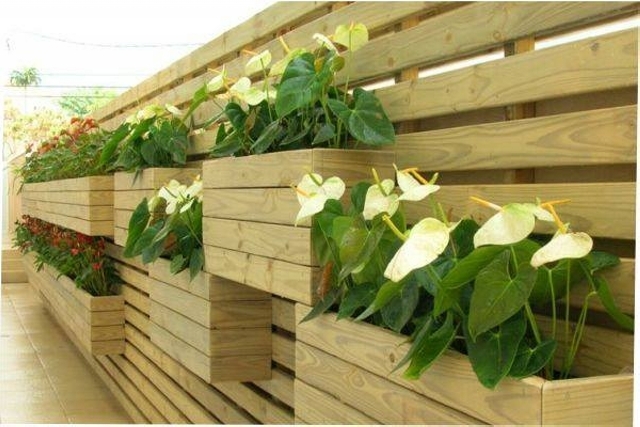 This vertical garden is the creation of a fanatic pallet wood crafter who is deeply in love with the pallet wood creations. 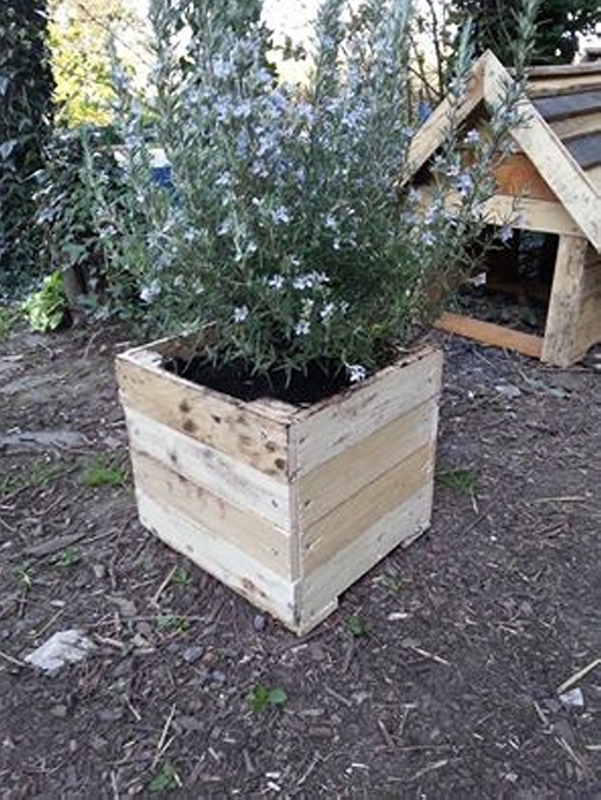 We have mainly focused on the design to make it look entirely different from the petty planters that we have made so far with the shipping pallets. 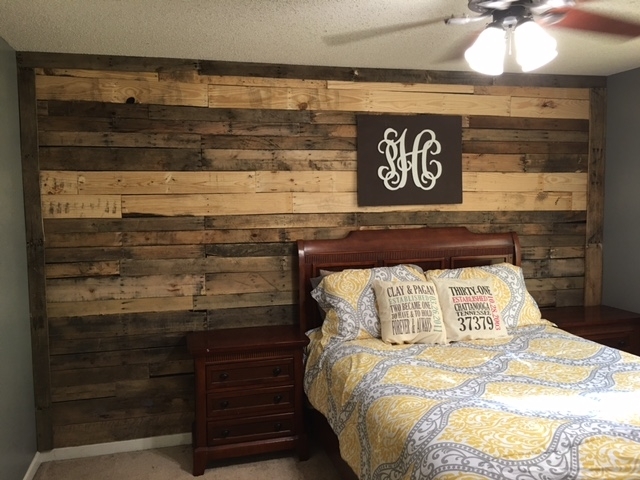 And pallet wood wall cladding is always a wise choice done with the pallet wood planks. We used some mixed shipping pallet planks in making the wooden wall cladding, and an identical wooden boundary line all around the cladding to maintain the symmetry, and it really turned to be a great idea.